Shoulder support keeps you comfortably aligned with a truly customizable fit. Easy-to-use, adjustable design features hook-and-loop straps at the upper arm and opposite side of the chest, supporting healthy movement and healing for either the right or left shoulder. For those who need extra length around the chest, the included detachable shoulder strap with fasteners on each end fits up to 55″. One size fits most and can be worn under and over clothing. Size adjusts 13 3/4″–24 1/2″ around arm, 31 1/2″–41 1/4″ around chest. Shoulder brace made with 75% neoprene/25% nylon. Spot clean; hang dry. 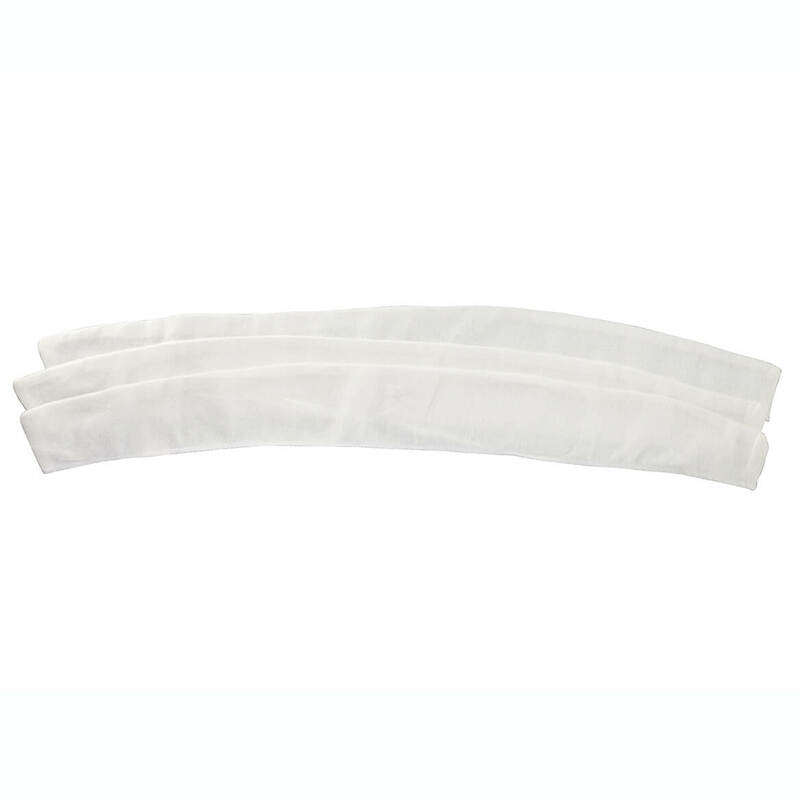 Slip-on tubular bandage protects cuts, bruises, corns and blisters with soft foam lined in breathable cotton gauze. Trim tube bandage to fit. Relied on by doctors, now available to the public. Small 5/8″ fits children and little fingers; Medium is 3/4″; Large, 1″. Each tubular bandage is 36″ long. Tummy liners tuck under the abdominal fold to enhance comfort, absorb perspiration and keep skin healthy. Specify by length: SM. (20″), MED. (24″), LG. (28″), XL (32″), 2XL (36″), 3XL (40″) or 4XL (48″). Pack of 3. 100% cotton. Machine wash. Imported. Now featuring smart little anti-slip dots, these super-soft 100% cotton tummy liners with anti-slip comfort dots stay in place—comforting you without budging or slipping. Tucking gently beneath the abdominal fold, they absorb perspiration, prevent chafing and keep skin healthy. Specify size: (medium-23″L), (large-27″L), (XL-32″L) or (XXL-36″L). Machine wash. Imported. 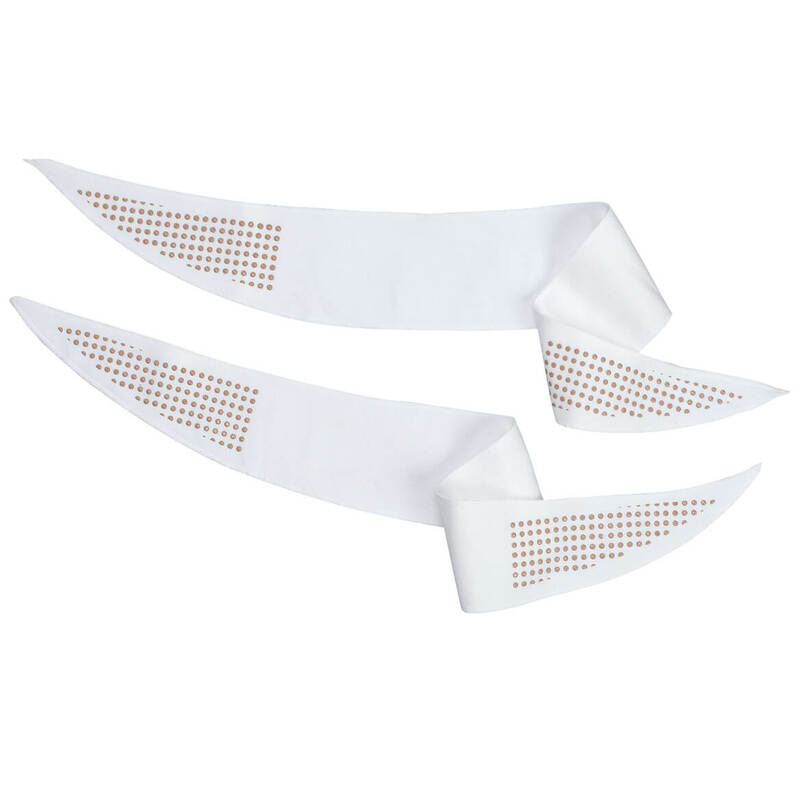 Set of 2 stomach sweat bands. Ultra copper knee support stabilizes joints and muscles and relieves pain and stiffness with 3 times more copper than other supports. 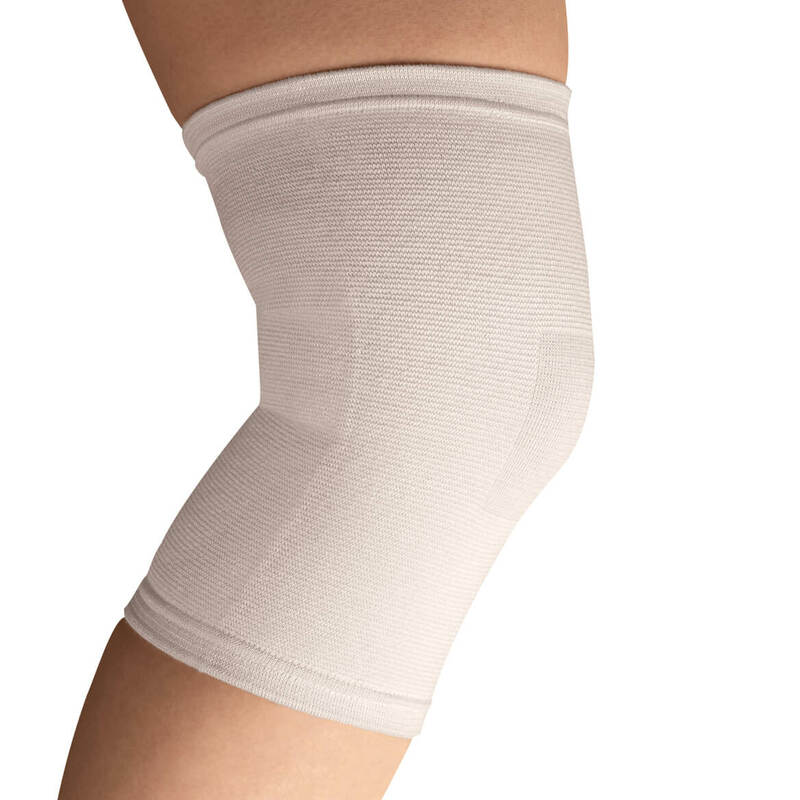 Knee support brace made with lightweight, moisture-wicking fabric that fits men or women. Specify size. Machine washable. 15% copper/22% rubber/63% cotton. Specify size: Small (fits knees 12″-13 3/4″ diameter), Medium (fits knees 14″-15 3/4″ diameter) or Large (fits knees 16″-17 3/4″ diameter). 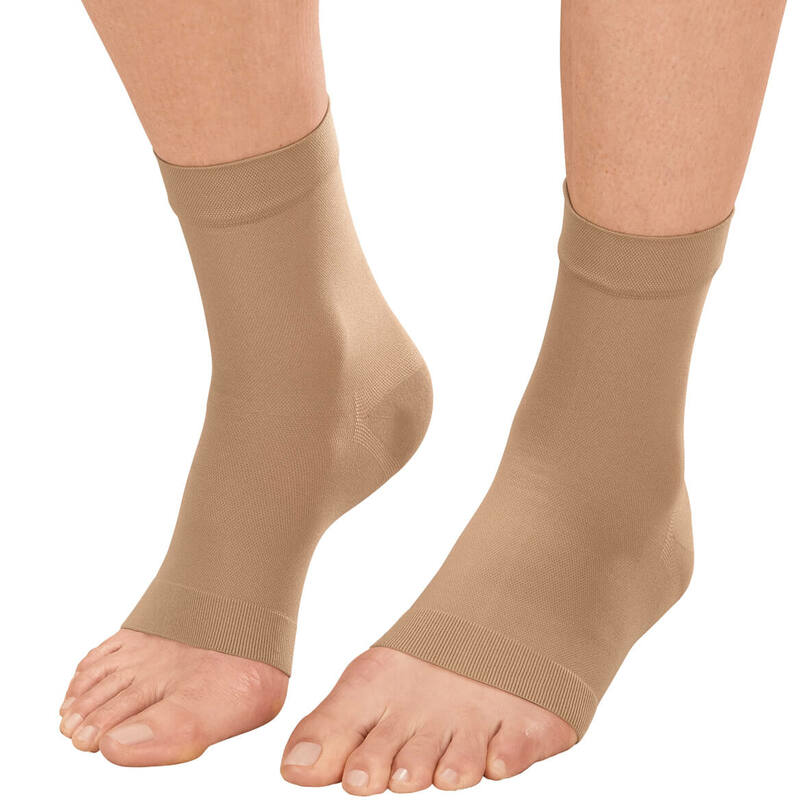 Light, open-toe ankle compression sleeves offer compression support for feet and ankles, helping reduce swelling and ease pain. Wearing a compression brace may help relieve everyday aches and strains, and can offer comfort while recovering from an injury. Contoured to fit comfortably beneath socks, shoes or sandals, these ankle braces are available in two levels of compression. 80% nylon/20% spandex; hand wash. 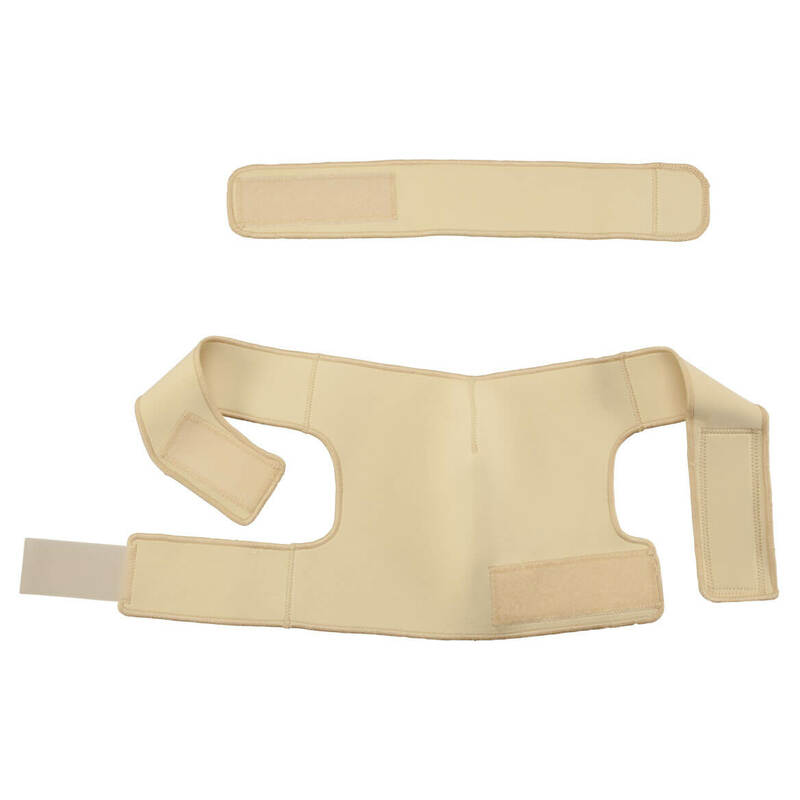 Choose from 15-20 mmHG or 30-40mmHG compression. Order by ankle size: S/M or L/XL. Includes 1 pair. 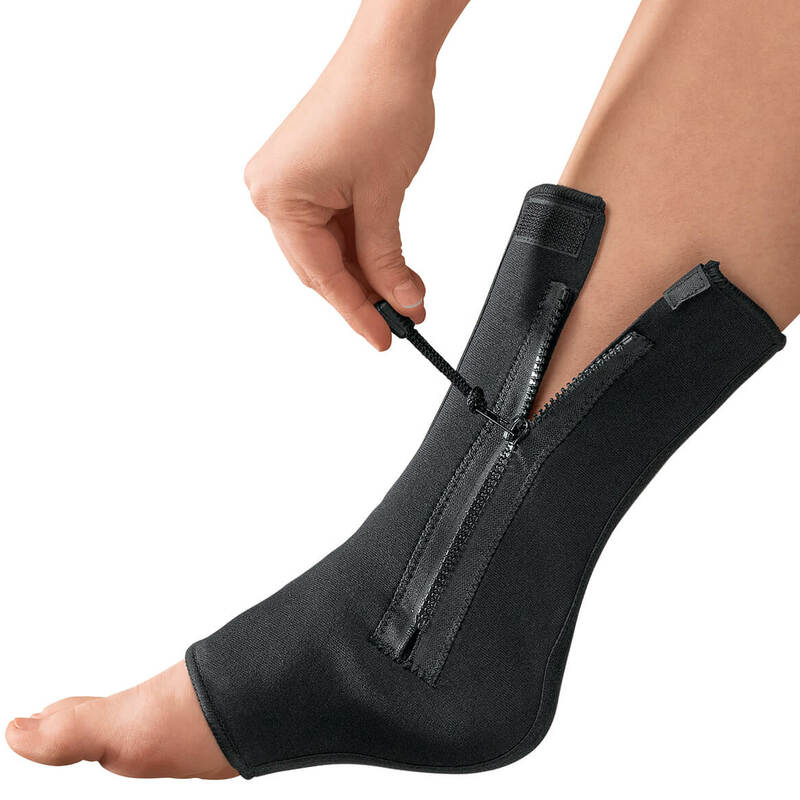 Compression ankle brace with zipper support stabilizes and helps reduce swelling and discomfort. Zippered design ensures an easy on/off fit. Ideal for treating tendonitis, strains and bursitis. Sold individually. Specify size by ankle circumference: small (8″-9 1/2″), medium (9 1/2″-10 1/2″), large (10 1/2″-11 1/2″) or XL (11 1/2″-12 1/2″). Neoprene/nylon. 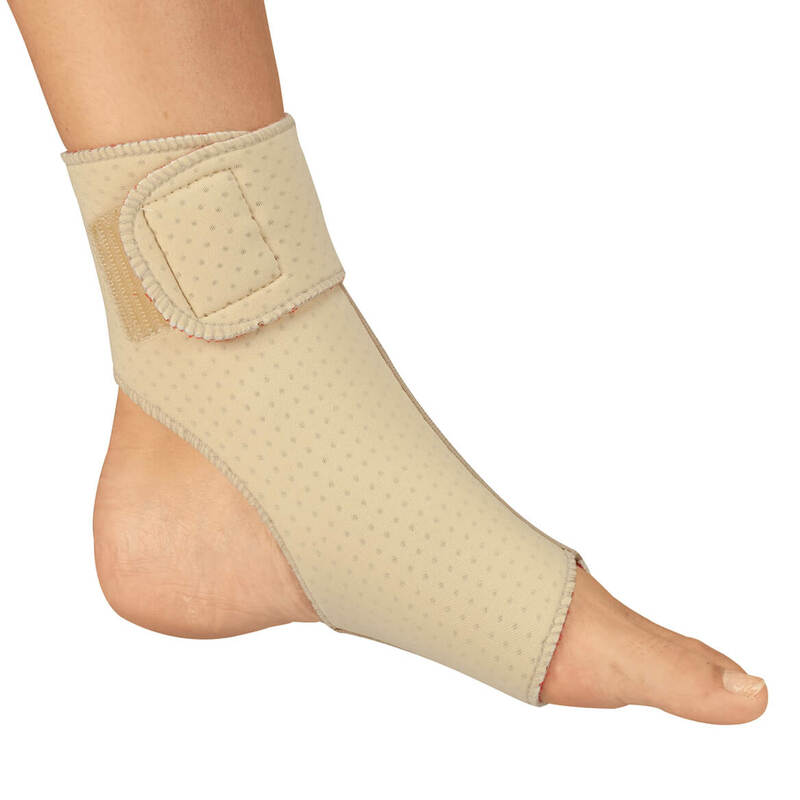 Arthritic ankle support surrounds your ankle with soothing warmth and comfort. Ideal for soothing arthritis and repetitive strain, its triple-layer design wicks moisture from skin, retains body warmth, and insulates heat while encouraging circulation. The ankle sleeve’s antimicrobial micro-terry inner layer provides all-day softness and comfort, even inside a shoe. Open toe and heel design with hook-and-loop closure is fully adjustable and easy to position on either foot. Measure widest part of ankle, typically around ankle bone. Specify size: small (6”–8”), medium (9”–10”), large (10”–12”), XL (12”–14”). Ankle wrap made with latex-free neoprene/nylon/polyester. Hand wash; dry flat. Made in USA. With an antimicrobial treatment to fight fungus and odor, this soft knit fabric support stays in place securely while allowing a full range of movement. 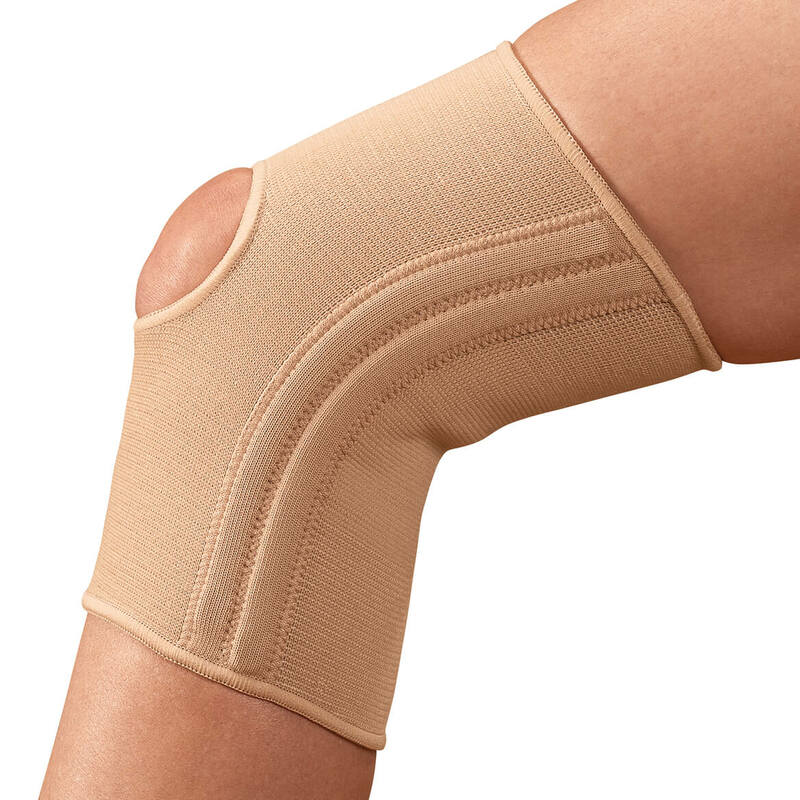 Deluxe knee support fits either leg, providing extra support with comfortable plastic stays and a deluxe cutout design to stabilize the kneecap. Stay-in-place support firmly embraces without slipping or rolling, for all-day comfort and mobility. 65% polyester/10% nylon/25% rubber. Hand wash; antibacterial treatment lasts 20-25 washes. Arthritic neoprene back support stabilizes as it warms and soothes a sore back. Wrap-around design features dual adjustable side pulls for custom compression and support, with built-in stays to promote stability and good posture. Ideal for soothing arthritis and repetitive strain, its triple-layer design wicks moisture from skin, retains body warmth, and insulates while encouraging circulation. 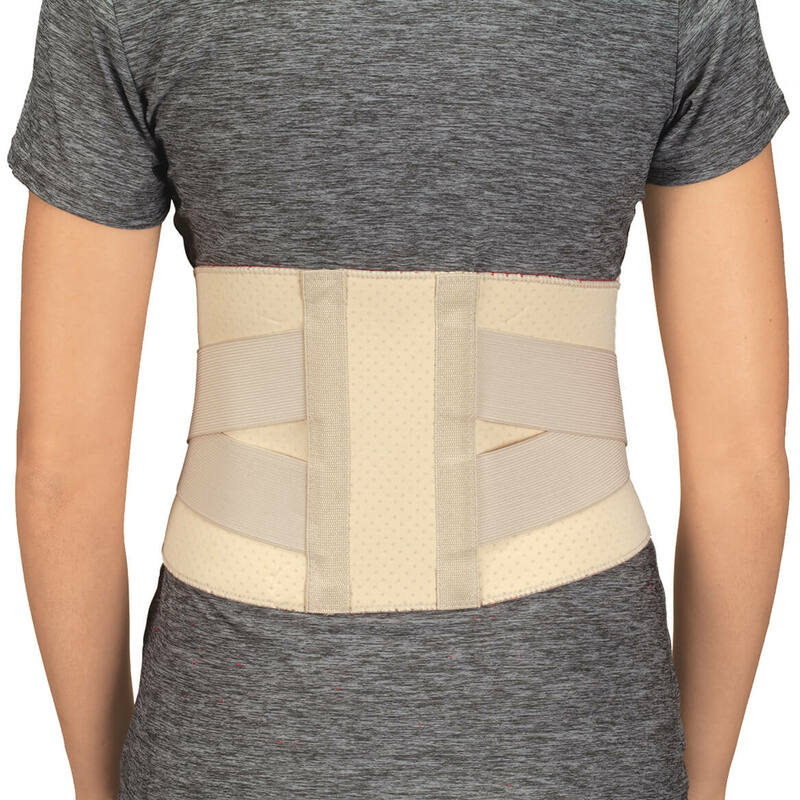 The back brace’s antimicrobial micro-terry inner layer provides all-day softness and comfort, with a fully adjustable hook-and-loop closure with 2 points of adjustability for on/off ease. Specify size: small (fits waists 28”–32”), medium (32”–36”), large (36”–40”), XL (40”–44”). Posture brace made with latex-free neoprene/nylon/polyester. Hand wash; dry flat. Made in USA.